Imagine a financial service that could help you pay all your bills while at the same time fixing your credit history. That’s the promise of Western Sky Financial. Western Sky is one of many predatory lending companies. It’s similar to a payday lender, but on a bigger scale. 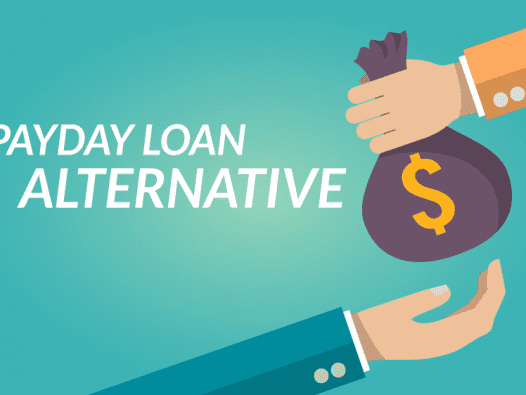 Payday lenders typically lend a few hundred dollars to individuals for a period of one or two weeks, with high interest rates. Here’s the catch: If you stick to the suggested payment plan, a $5,000 loan will cost a grand total of $40,872, more than eight times the original loan amount. Similarly, a $10,000 loan would end up costing $62,453, repaid over the course of seven years. If you’re looking for a $10,000 loan, you probably won’t have a spare $62,000 within the next few years. Short of winning the lottery, you’ll find it’s impossible to repay your loan. Are Western Sky Loans Illegal? When a lender ignores a borrower’s ability to repay in order to benefit the lender and maximize profits, it’s called predatory lending. When it comes to personal loans, federal law does not ban predatory lending. However, 25 states have laws against predatory lending. Additionally, state usury laws put caps on interest rates, usually around 21 percent or lower. Western Sky has interest rates upward of 300 percent. It is able to skirt the law because it is Native American-owned and it operates completely on a Native American reservation, distributing loans online. While Native American tribes must abide by federal U.S. laws, tribal sovereignty allows them to ignore state-specific laws. Working with Native American tribes has become a common way for predatory lenders – especially payday lenders – to avoid state consumer protection laws. Tribes that own lending businesses argue that they are simply supporting themselves. “The fact is our tribe – and tribes nationwide – benefit from the positive economic impact from these and other businesses activities, with revenues directed towards such critical needs as medical care, education and many other basic necessities,” wrote Charles Moncooyea, vice chairman of the Otoe-Missouria Tribe. The 10 tribes with lending businesses accounted for 35 percent of payday loans in 2010, generating $11.2 billion in loans. Thanks to high interest rates, their profits add up to much more. U.S. officials have vowed to crack down on rampant predatory lending. Companies that evade laws by pairing with Native Americans are exploiting tribal sovereignty, according to regulators. To close the loophole, regulators must pass a federal law that does not go against tribal sovereignty. To this end, U.S. Sen. Jeff Merkley, D-Ore., proposed the Stopping Abuse and Fraud in Electronic (SAFE) Lending Act of 2012. The act, which would amend the Truth in Lending Act, was reintroduced to Congress on Jan. 29, 2013. If approved, the SAFE Lending Act’s main provision would require all lenders to abide by state laws for small loans. State attorneys general would need to petition the Consumer Financial Protection Bureau to force online lenders to follow state laws. After a successful petition, online lenders would be forced to follow state laws. NAFSA doesn’t speak for everyone, however. Numerous Native American groups support U.S. actions to curb predatory lending, and some tribes have already taken actions of their own. The Navajo Nation, for example, caps interest rates at 15 percentage points above the prime rate. Tribes in opposition to high-interest loans argue that the loans are not in the best interest of tribe members. They say that Native Americans living on reservations are especially vulnerable to predatory lending tactics since they often lack access to traditional financial institutions like banks. Katherine Pilnick is a writer for Debt.org. She educates readers about their various personal finance options. She is a graduate of New York University.